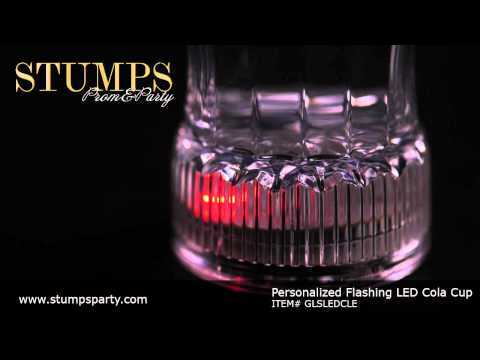 Create a fabulous Flashing LED Cup for each of your guests! Our personalized Flashing LED Cola Cup puts a new twist on the Classic cola glass with it's flashing blue, red, green and yellow LED lights. The Flashing LED Cola Cup features an on/off switch that allows you to choose from three settings - constant color, multi-color flashing lights or multi-color chasing lights. Best of all, the Flashing LED Cola Cup can be personalized with your own custom message.